Giveaway: Accessorize surprise gift package! Update 18 December 2009: Winners were drawn! 1. My father is half Native American and half English. I love a good, black English tea and listening to The Beatles. In fact, Hubs and I joke that we're going to name our kids after Beatles albums one day (Sargent Pepper Adams? Abbey Road Adams?). 2. I am oddly patriotic. I think it's because I was raised in a military family, but I really like the 4th of July and kitchy things with American flags on them! 3. I miss the summer. I love the Christmas season, but in the fall and winter, I am constantly longing for our Texas summer heat and sunshine. I hate feeling cold! To celebrate that they are now shipping to the United States, the UK company Accessorize gifted me with an incredibly generous package full of wonderfulness last Monday. They included several adorable gifts with the Union Jack and the American flag on them. In the spirit of Saint Nick, I think it's only fitting that I pass these most of these lovely items on to you! In an Adored Austin first, next Friday, I'll be drawing three winners who will receive a surprise pack of Accessorize goodies. 1. 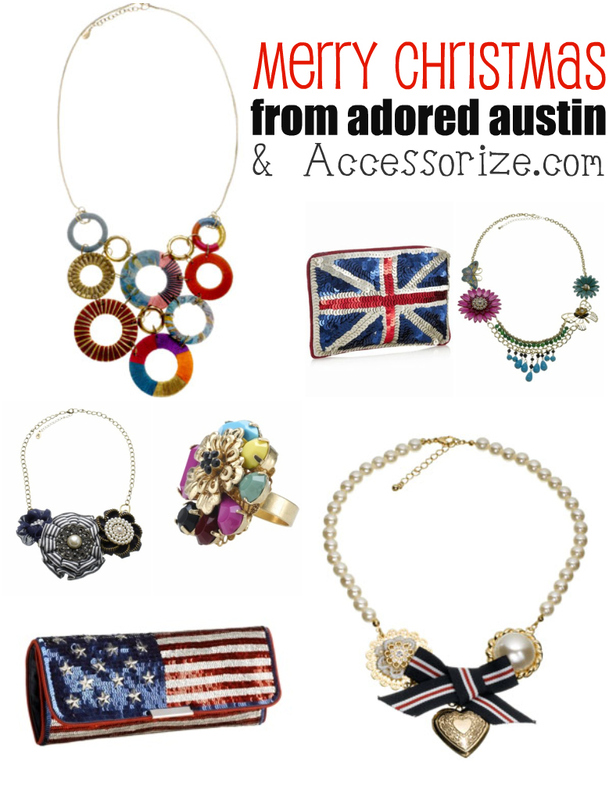 Make sure you're following Adored Austin either on Google Reader, Blogger, or Blog Lovin' (check the right sidebar) or become a fan of Adored Austin on Facebook. 2. 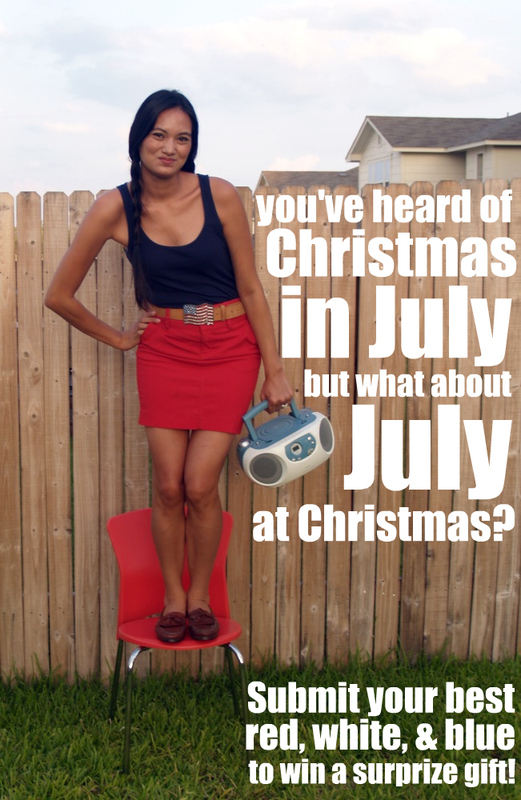 By next Thursday, December 17th, email a photo of your best red, white, and blue outfit to indiana@adoredaustin.com. 3. In the email, be sure to include your first and last name. The winner will be drawn at random, and the winner's photo will be posted to Adored Austin next Friday! - I love Eleanor Rigby! This contest is open to everyone, worldwide, and you don't have to repost or retweet or anything bananas like that. Feel free to enter both ways. I'll be drawing the winners on video on Friday, December 18th, and I will contact you via email to let you know you've won. Prizes must be claimed by Friday, December 25th. Thank you to Kelle and George at Accessorize for such a lovely gift! To learn more about Accessorize, feel free to visit their webpage, Facebook, and Twitter. *note: After the winner has been announced, the comment section will be deleted to ensure your privacy. I will never share your email address with others without your permission.